This page compares CPRI vs eCPRI and describes difference between CPRI vs eCPRI. The interface CPRI is used in legacy systems where as eCPRI is used in 5G wireless technology. • CPRI defines key interface specification between REC (Radio Equipment Control) and RE (Radio Equipment) of radio base stations used for cellular wireless networks. CPRI is the short form of Common Public Radio Interface. CPRI is popular standard for transporting baseband I/Q signals to the radio unit in traditional BS (Base Station). CPRI allows efficient and flexible I/Q data interface for various standards e.g. GSM, WCDMA, LTE etc. • eCPRI is published after CPRI. eCPRI standard defines specification which connects eREC and eRE via fronthaul transport network. It is used for 5G systems, LTE-Advanced and LTE-Advanced Pro. Purpose of development of CPRI and eCPRI is described as follows. Radio BSs should offer flexibility during deployment to MNOs( mobile network operators). This is achieved by simplifying BS architecture by dividing radio BS functionality into two modules viz. eREC and eRE. Both parts may be physically separated where in eRE is kept close to RF antenna where as eREC kept at a distant end. Both are connected via a transport network. The eREC contains part of PHY layer functions and upper layer functions of the air interface where as eRE contains the other part of the PHY layer functions and the analog radio frequency (ARF) functions. The different functions can be located either in the eREC or in the eRE. The figure-1 above depicts CPRI system and Interface definition. The figure-2 depicts typical CPRI network elements. Following are the features of CPRI. ➨It is point to point interface. ➨Master and slave ports are directly connected with the help of optical or electrical cables in CPRI. ➨Networking layer functions are not supported by CPRI. ➨The topologies in CPRI depend on REC /RE functions. ➨Following logical connections are supported in CPRI. ➨Redundancy, Security, QoS etc. functions are supported by REC/RE. The figure-3 above depicts eCPRI system and Interface definition. Function : The eCPRI interface offers efficient and flexible radio data transmission via packet based fronthaul transport network such as IP or Ethernet. The figure-4 depicts typical eCPRI network elements. Following are the features of eCPRI. ➨The network consists of eCPRI nodes viz. eRECs/eREs, transport network and other network elements such as GM/BC used for timing and EMS/NMS for network management. ➨Master port/slave ports classification at physical level is not supported. • SAPS: master of PTP and synchronous ethernet is not eREC in general. • SAPCM: some of M-plane may be managed by EMS/NMS. ➨eCPRI layer lies above the transport networking layer. ➨Transport network may include some local networks e.g. local switches provided by eREC/eRE vendors. ➨Following logical connections are supported by eCPRI. ➨eCPRI nodes need to implement proper transport network layer protocols to support features such as redundancy, security and QoS etc. ➨In comparison to CPRI interface, eCPRI decreases data rate requirements between eREC and eRE using flexible functional decomposition while maintaining complexity of eRE. ➨eCPRI specification offers more flexibility in positioning of functional split inside the Physical layer of BS (i.e. gNB or eNB) unlike CPRI. 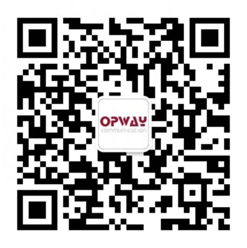 OPWAY 25G SFP28 OPTICAL SOLUTION,POWER THE NEXT GENERATION 5G NETWORK.